Mindfulness is a hot topic these days. It seems like there’s so much literature popping up on the benefits of focusing on the present moment, right here and right now. Reported benefits include awareness of your body, focus and attention, emotion regulation, and increased sense of self (Perspectives on Psychological Science). Kids are naturally mindful, and left to their own desires they could easily lose hours in mindful play and curious explorations. We can tap into this natural creative state to help children who become easily dysreguated learn how to be in the present moment, all without a yoga mat or “Om”. Be aware of the sensations your body is experiencing by speeding up and slowing your engine down. Help your child to become aware of their breath and them encourage them to slow it down. Blow bubbles and see who can make the biggest bubble with slow breath. See who can make the most bubbles with fast breath. Slow down and make bubbles with your hands. Play red light/ green light and teach kids to be aware of their bodies, inside and out when they move and stop. Mimic a fast animal, like a rabbit, then slow down like a turtle. Show off your dance moves: play music that gets your engine revved, and then play music that slows your engine down. Decorate your instruments. Create rattles and drums out of household object, paper plates, or various containers; decorate with ribbons, feathers, markers or glitter. 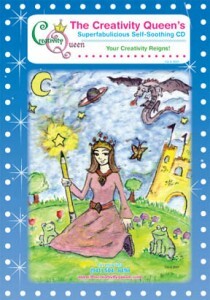 Color together with crayons quickly and make a scribble drawing, then slow down and make slow looping swirls. Color a page with chalk pastels quickly, then slow down and smear the pastels into he paper with your fingers. Slowly mix paint colors and see what you create. Paint your hands and make handprints. Smell scented markers. Close your eyes and play guess the scents with different smells. Open a new container of Play-doh. Smell and squish it. Draw a picture with your non-dominant hand. Paint or draw to classical music, speed up or slow down, depending upon the song. 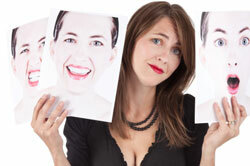 Make a self-portrait looking at yourself in the mirror. Paint with right hand, then switch to your left hand, and alternate hands while painting. Create a squiggle and then ask your child to make a drawing from the lines you drew. Make a sensory quilt art. Use furry fabrics, feathers, rough textures such as sand paper and adhere to contact paper (or use glue) to create squares of mixed textiles. Make moon sand: 6 cups of play sand, 3 cups of cornstarch, 1 1/2 cups of cold water. Mix the water and cornstarch together and gradually mix in the sand, one cup at a time. Store in airtight container. (use 2-3 tablespoons of water to revive it). Eat juice flavored ice cubes. Snack on a hot ball candy or jolly rancher. Try to make bubbles with hubba bubba bubble gum. These powerful sensory activities that will help your child be in the here and now. Think of ways you can help your child connect with these senses (touch, smell, taste, sound, and sight). Use these activities to help your child create a toolkit of mindful activities to help them self-soothe and regulate when they need to calm their systems down. The CQ is on a mission these days, so inspired by the possibilities of how connecting with our creativity can help transform our lives, our communities, and our planet. There is a shift happening, a movement from intellectualizing and rationalizing to embracing intuition, creativity, and connection. The cool part is that brain based research is leading the way on new developments on happiness, compassion, and awareness as treatments for mental health. The feature article Paint Brushes NOT Pills & Markers NOT Medicine is the CQ’s declaration of a Creative Revolution from the new possibilities that are emerging, and how you can join the Creative Revolution! I’ve been following mental health and medication treatment options since the 1980’s, when I began working at an agency for individuals with disabilities. The folks I worked with ranged from those who lived independently in their own apartments to those individuals who required extensive 1:1 supervision to meet their daily needs and prevent them from hurting themselves or others. The advent of medication allowed many individuals who lived in mental institutions to become more independent. I saw firsthand people who were institutionalized for most of their lives become actively engaged in their community, and live a more fulfilling life. I was trained to give medications and learn the various side effects, and I felt it greatly benefited the individuals in need. Fast forward several decades (I know the queen is aging herself) and it seems like everyone has a diagnosis these days. It’s great that there is so much awareness around mental health; consequently, it almost becomes a point of identity for so many teens and young adults. They jokingly reference their diagnosis, google disorders and label themselves or their friends. Yes, it helps to have language to understand your thoughts and behaviors, and at times it seems to be part of kid’s core identity (and when you identify yourself a certain way it’s hard to see yourself, or for others to see you, differently). However, there is a new movement, one I am so very excited about. These are the parents and professionals who understand a need for a common language of diagnosis, and for medications to be used, only when they are absolutely necessary. These parents & professionals are the next generation, realizing that a pill is not “the” solution and that a label does not define their child. These parents are much more interested in finding solutions, having their children learn new skills, and teach ways to shift behaviors and thoughts and emotions (yay for cognitive behavioral therapy-CBT). I imagine if you are reading this you are of this TRIBE and we are a powerful group that will shake up the mental health system (more yays)! So you ask, what’s up with the title? Paint Brushes NOT Pills & Markers NOT Medicine! It’s time to start a Creative Revolution to help our children learn to cope without initially reaching for a pill. How can we bring art into the lives of children to help them manage with difficult behaviors and feelings? By becoming a Creative Revolutionist! Encourage creative outlets to channel their energy, anger, sadness, and worries. Teach them how to express their voice through art, music, writing, dance, and theatre. 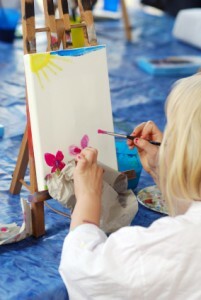 Retrain the brain with creativity: Help improve focus with stimulating creative activities that require attention, mindfulness, and awareness of how their bodies, thoughts, and feelings are responding. Sit with a child and help them build a challenging project and model how to manage frustrations in a positive way. Allow for messy creative play with materials to encourage cognitive and physical flexibility. Build something detail orientated that requires commitment to a project over a long period of time. Bond over doing a project together, there is nothing like sitting at the same table working together on an activity to build connection. Shoot a video of your child teaching you a new technique or activity, boosting their confidence and mastery. Work on small projects that require patience. Create imaginary worlds to work through problems they are encountering with peers of siblings. I ask you: how can we support children so that they see themselves as so much more than a diagnosis, how can they learn the skills to cope with life’s difficulties, how can they learn to tap into their creative potential to shine their unique brilliance? Let’s pioneer this Creative Revolution together! If your child is sensitive to sounds, bright lights, large groups, or clothing, or your child is anxious, easily becomes overwhelmed and/or acts impulsively Halloween can be a really difficult time. Be realistic: You know what your child can handle and what triggers their meltdowns. Set them up for success by encouraging costumes and situations that they can manage. Don’t feel pressured by friends or family members to do something you feel would be overwhelming for your child. Pick a costume that you know will work: Your child is fixated on being Spider-man, but you know the costume he picked at the store will be too tight, scratchy, uncomfortable, and will lead to sensory overload. Find a way to adapt the costume or create something Spidey-like at home that will feel comfortable on your child. Pick an activity that’s right for your child: Halloween falls on a school night and you know your child will be too excited from trick-or-treating and candy to function at school, and that may cause a tailspin of negative behaviors over the next few days. Decide what will be the best activity for your child, such as a party on the weekend and handing out candy at home. Whatever you decide be clear, set a time frame, and let your child know the plans ahead of time. Let them know what’s appropriate and inappropriate: Help your child learn boundaries and expectations by being clear about what behaviors are acceptable and how you will give your child feedback if they are acting inappropriately. For example, let your child know they will walk together as a group, and if they run ahead you will remind them, and if they choose not to listen you will have them walk next to you (or hold your hand). Clear boundaries can help your child mange their fears and worries, which often looks like acting out behaviors. Set boundaries with candy: Your child may be thrilled with their bag o’ treats and want to eat as many as they can before bedtime, but you know that will only wire them up for the evening. Tell your child what’s expected with the candy, such as waiting to eat it until they get home, you check it, how many pieces they can have tonight, where the candy will be kept, etc. Clear expectations will help reduce arguments and before bedtime meltdowns that come from too much candy, being tired, and overstimulation. Create Halloween Rules. On a big piece of poster board discuss with your child the rules and expectations for Halloween night. Be concrete, such as they will not eat the candy until you have checked it, they will walk with a flashlight, they will be in bed by 8pm. Discuss consequences/ rewards for following the rules. If your child is older ask them write down the rules, or you can write them down if you have a younger child. Ask your child to draw pictures on the poster board of each rule and decorate it with spooky images. Do this a few days before Halloween and review the rules before you go out. If age appropriate, have your child sign the rules so you are both in agreement. Sometimes there is a disconnect in your relationships. Someone says something that triggers a feeling of vulnerability or you are feeling so stressed out you say or do things that are hurtful. What’s powerful to understand is that having a healthy relationship is not about avoiding conflict or being a “perfect” family. You can EXHALE because there is no such thing- perfect families are like unicorns, a beautiful mythical idea that has yet to be discovered. Instead, of chasing the elusive unicorn, you can learn from the perfectly imperfect relationships in your life by listening to your heART. Here are 7 ways you can listen to your heART, connect with your creativity, and have more meaningful relationships with those people in your life. The cool thing is you can share this process with your children and help them to tune into their heART to help guide them with difficult stuff like peer pressure and conflict. Claim some time for you to breathe, feel, and process. You may need to designate some time during the day, get up early or stay up a little bit later, but carve out a few minutes a day where you unplug (literally). Close your eyes and feel your body, connect with your breath, feel yourself supported in the chair you are sitting in. Visualize your heart space (the place in your body where your heart resides). Fully feel that area of your body without judgments, just acknowledge and release any positive or negative thoughts. Sit in the fullness of this moment, connecting with whatever thoughts or feelings come up. Should you need guidance with a way to handle a situation or manage problems ask your heart for guidance. Breathe and continue to focus on your heart space. When you are ready take a piece of paper, canvas, or modeling clay, and allow yourself to create an image or symbol of what you felt in the process of connecting with your heart space. If you are struggling with creating an image or symbol, release any judgment and allow yourself to pick a color that resonates with you. When you are finished making art take a minute to explore what you created (you can journal about or just reflect on the process). Allow the wisdom of what you created to guide you in your relationships and decisions. When difficulties arise take a deep breath and reconnect with the visual image you created or connect with your heart space and ask for guidance. Notice that as you shift in your response to others, others will shift in their response to you. Plus, join the IPPC from now until August 31 st 2012 and you’ll get a F-R-E-E- Bonus Audio!! 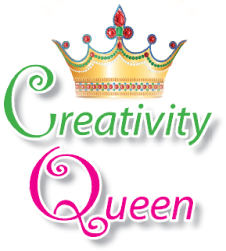 Enjoy the Creativity Queen’s Superfabulicious Self-Soothing CD (mp3 digital download). This 30-minute audio teaches children relaxation techniques as it takes them on a guided imaginary journey to learn how to self-calm. Fun, imaginative & relaxing, this audio is a perfect way to help calm busy minds. Appropriate for ages 4 and up. Click here for all of the Superfabulicious benefits of the IPPC. Summertime boredom got you down? Here are 21 creative art ideas for bored kids! What happens when all the excitement of having time off for the summer turns into your kids whining “I’m bored”? You may notice that your kids are more irritable and there are more arguments and fighting, especially when you turn off the electronics! Here are 21 creative art ideas to engage your child’s imagination, encourage positive communication, critical thinking skills, develop self-esteem and self-confidence during the summertime! Got some creative ideas to keep your bored child busy? We would love to hear what creative things you do to make summertime a positive learning experience. 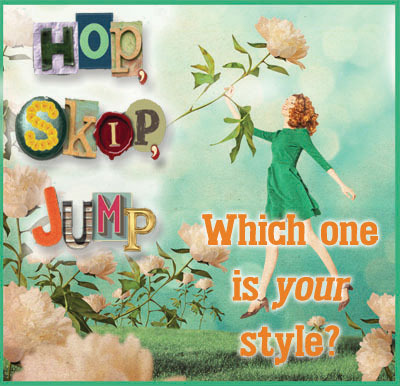 Post your ideas in the comment box below! As a parent what do you choose to reflect? Every moment in connection with another is a moment where we can choose to uplift or negate another’s experience. Think about this for a minute. Each encounter with a child, partner, friend, community member, and even moments by yourself, are moments when you are given a choice. You can understand, validate, hear, honor, regard, witness, listen, or you can disregard, threaten, punish, negate, challenge, shame or diminish (of course there are many more choices too). Yes, life is stressful and at times our tempers are short, we don’t have the desire to hear things, we are super busy and frankly just want things to be taken care of without having to ask another 100 times. Oh how human we are! Here’s a valuable insight to help you navigate these moments- you are reflecting to others what is inside of you. You may ask your partner to listen, beg your child to do what you’ve asked, felt frustrated that you are not heard or respected, and at the core the question to ask yourself is are you respecting, listening to and honoring yourself? We cannot ask others to give to us, what we do not give to ourselves. Now before your mind jumps ahead to reasons why this is not possible, or if you catch yourself moving into critical, blaming or shaming thoughts, take a deep breath-EXHALE. How can you choose to honor, respect, listen to, validate yourself? In every moment when you desire to be critical or negative towards yourself or others, pause and exhale. Ask yourself what you choose to reflect. Take out a piece of paper, collage materials, markers, pastels, or paint. Find a quiet place to work. Take a deep breath, and ask yourself, what is it that I need to hear right now? Allow yourself the space to explore with the art materials. Hold whatever you create with loving kindness and allow any judgments or negative thoughts to be released. When you take the time to honor and witness your thoughts and feelings (both good and bad) you’ll likely feel re-energized, nourished, and ready to reflect your inner calm to those around you. Want lots more empowering creative tools? Join our NEW Supportive, Non-Judgmental & Downright Awesome Community of Parents & Professionals committed to lovingly transforming the lives of children across the globe. What happens when a good kid starts to show some bad behaviors? Your child or a child you work with all of sudden starts to act out in ways you haven’t seen before. Maybe it’s a refusal to listen, difficulties with peers, acting out or being aggressive, shutting down and saying, “whatever”. You notice they have begun to have an attitude, maybe they are getting in trouble, or perhaps their teacher is worried. It seems sudden and a bit random and you aren’t sure what’s going on. Here are 5 ways you can use art and creativity to understand a child’s negative behaviors and teach your child some tools to manage their behaviors. 1. Use art as a self-calming and self- soothing tool. Before your child becomes so overwhelmed and acts out or shuts down bring in some art activities. 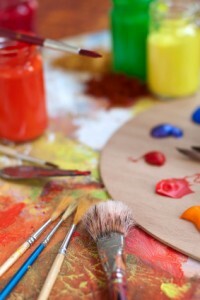 Choose art materials that are calming such as chalk pastels, markers, or modeling clay. Have a basket of calming activities to choose from and take an art break before your child loses control of their emotions. As a parent or teacher you want to notice what triggers your child and redirect behaviors before they become full blown meltdowns or shutdowns. 2. Use art to understand your child’s point of view. You may think that things at school are just fine, but your child may not feel that way at all. Sometimes children have a hard time identifying or articulating what’s bothering them. Use piece of paper and markers or crayons and ask your child to draw a picture of their classroom; then ask them to tell you what they created and listen. 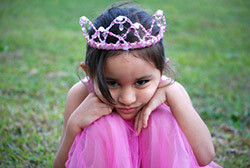 You may learn about stressors and triggers that upset your child. Make sure you fully listen without trying to jump in and problem solve. 3. Use art to understand your child’s perception of home. Ask your child to create a picture of your family together. You’ll learn about your child’s point of view of your family when you listen without interruption as your child shares what they created. This is a touchy topic for many parents. Be aware of your response. If your child explains things that you feel are “not true” be aware of how this triggers you and what your initial response is. Your child will have a difficult time safely expressing their feelings if you become upset when they share. Be open, curious, and ask questions help you understand. 4. Use art to solve the problem. If your child identifies problems at home or at school (if age appropriate) ask your child to make an image of what they could do about that problem. Remember that you are encouraging your child to express themselves, therefore, they may create a silly or “inappropriate” solution. Don’t lecture. Let them know that’s an option and ask them about other options they could choose, and come up with a bunch. At the end of exploring options together discuss the consequences of each option by asking questions such as, what would happen if you did that? 5. Use art as a way to teach positive social behaviors. Sometimes a child has a hard time getting along with their peers and siblings. You can use art to sneak in teaching positive ways to behave socially. Set up some play rules and have the children/siblings work together on a common goal, such as building or drawing something. When problems arise, point out the rules and use it as a teaching opportunity. Use the experience to help identify and label feelings and work together to create solutions. Children will learn socially appropriate behaviors while having fun. Got a child who quickly goes from happy to meltdowns in less that the count of 5? Then it’s time to teach them new coping tools to help them become aware of their emotions and behaviors. If you are in the Sarasota, Lakewood Ranch, Bradenton, Venice Florida area and you would like more support we can help. Schedule a Support Consultation here. If you don’t live in the area, don’t worry. I created parenting resources to help children and teens you can immediately download and implement to help your child. P.S.- CQ disclaimer: The CQ believes that there’s no such thing as a BAD child, just BAD behaviors and these tools can help.